Roleplay as the Wonderbolts trainee, member of the Ponyville weather patrol, and main character from the TV show My Little Pony: Friendship is Magic! This My Little Pony Friendship is Magic Rainbow Dash Wig with Ears makes for a great addition to your cosplay or Halloween outfit in addition to everyday fun with friends! 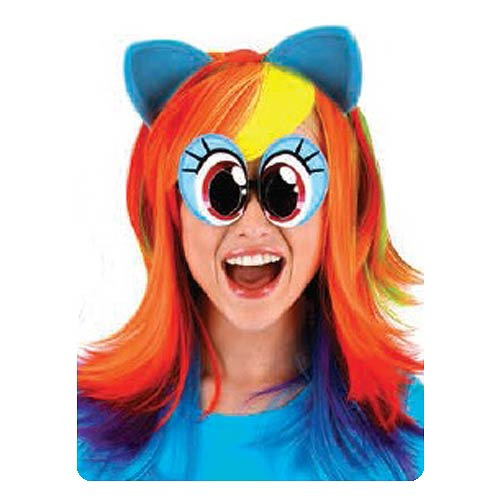 The Rainbow Dash wig features the Pegasus pony's multi-color hair and blue ears. Ages 14 and up.